Some older Despatchers may remember Terry from 15 AD Regt., Seletar & Changi in the late 60s. The year - 1967. The place – Telok Paku, situated on the coast, a few miles from Changi Village, Singapore and home to Headquarters 55 (Air Despatch) Squadron RCT (Royal Corps of Transport). One typically hot, steamy afternoon in the Squadron’s conference room, the troops are about to receive a briefing regarding ‘Exercise Burnt Toast 2’, an ‘Escape and Evasion’ Exercise, scheduled to take place over the border from Singapore, ‘up country’ in the deepest, darkest Malaysian jungle. Precisely where they’ve been directed to set up their base camp in the middle of the jungle, and unknown to anyone, there are two Japanese soldiers who have been in hiding there since the end of World War 2, refusing resolutely to believe that the war was over. Once the British lads arrive at the jungle location, the mayhem begins. About the Author: Terry was born in Keighley, West Yorkshire but now lives in Beverley, East Yorkshire along with his wife Maggie. After 30 years in the British Army, where he began his career as a boy soldier, he did his bit for ‘Queen and Country’ all over the world until retiring from the Army as a Major, shortly after which he began working for the Ministry of Defence until his eventual retirement ‘proper’ some 18 years later. (Doesn’t time ﬂy when you’re enjoying yourself). His first love is his wife, his second love is writing. Terry hopes that you enjoy reading the stories he has written; he has had a great deal of fun and enjoyment dreaming them up. 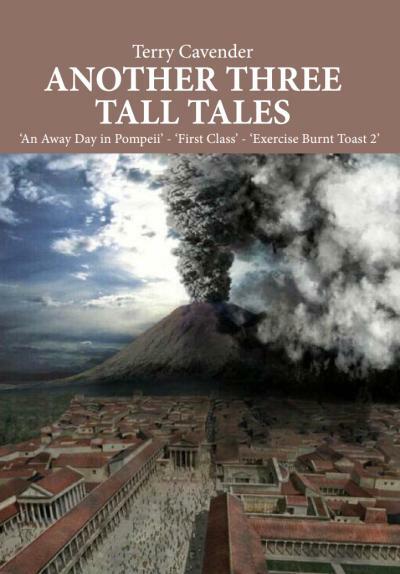 Also by Terry: The Boy From Nowhere, Three Tall Tales, Three More Tall Tales & The Art of Military Communication Vol.2 (Contributor). Dave served with 22 and 55 in the 60s. Oman in 1971 saw a small and little publicised war against the spread of communism in the region, following the British withdrawal from Aden in 1967. There was poverty in the region, and the Sultan ruled in a feudal manner. These factors were used by Omani dissidents and communists in Yemen to stir up a rebellion against the Sultan. The Sultan’s son Qaboos, deposed his father, and with British military assistance moved to rid the country of feudalism, reduce poverty and defeat the rebels. 22 SAS were sent to Oman in the early stages of the British involvement. As paret of the campaign, 55 AiD Sqn RCT found themselves in Oman doing what they had become famous for since the start of the Malayan Emergency decades before. 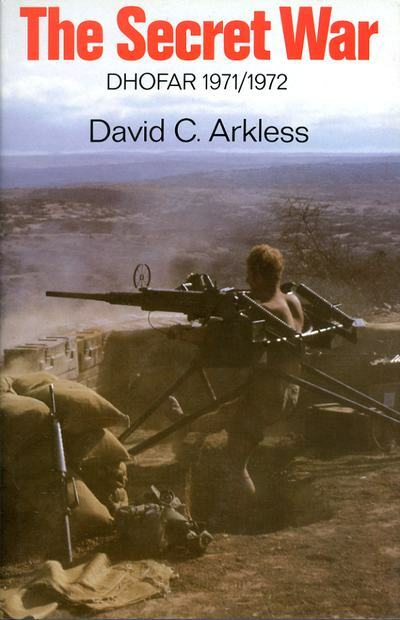 Dave Arkless was with 55 then, and tells the story of the Squadrons involvement in a very readable way. The book is sprinkled with photos, and names, including some men who will be familiar to some readers. For the younger reader, it will show what their predecessors in AD were up to at that particular time in the history of AD. All proceeds go to the upkeep of the Murals. 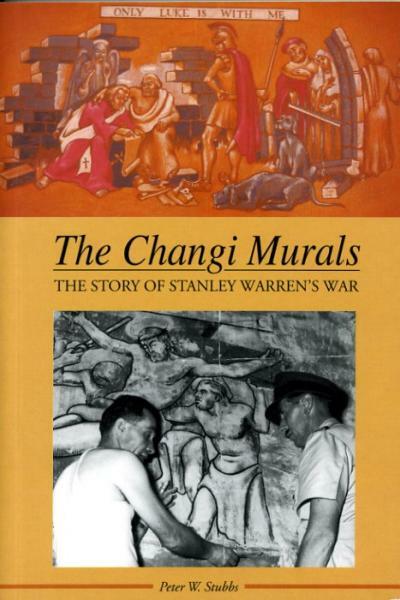 The Changi Murals were painted between 1942 and 1943 by a British Prisoner of War, Bombardier Stanley Warren, of 15 Field Regiment, Royal Regiment of Artillery. Stanley painted the Murals in a ground floor room of a barrack block in Roberts Barracks, Changi, Singapore. At the time, the block was being used as the dysentery wing of the PoW hospital. Stanley had been incarcerated at Bukit Timah, and was suffering from from a severe renal disorder and amoebic dysentery. On 23rd May 1942, then comatose, he was moved to the hospital at Roberts Barracks. It was there, whilst recovering, that he was encouraged by Padres Chambers and Pain to paint murals in the hospital chapel. Paint was not readily available, but with the aid of other prisoners, who unquestionably put themselves at great risk, colours and materials to make paint from were acquired, and Stanley set to work. Roberts Barracks was demolished many years ago, but the building housing the Murals, Block 151, has been preserved as a lasting legacy of man’s will to overcome even the worst adversity. Are there any more Despatcher authors out there?